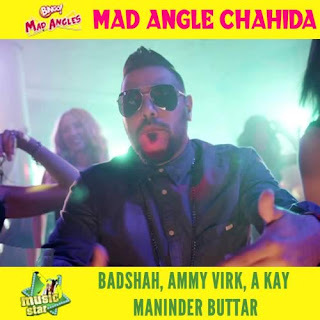 Mad Angle Chahida Lyrics: The song is made for Bingo Mad Angles and performed by Badshah, Ammy Virk, A Kay, Maninder Buttar, composed by JSL Singh. It is Written, Conceived & Directed by Baljinder Singh Mahant. Moda jaave keh kehd kabaddi da hona chahida..